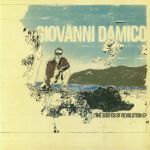 Review: Italian producer Giovanni Damico (otherwise known as G-Machine or Ron Juan) has been busting out funkified gems for more than 10 years now, and his mighty back catalogue includes plenty of turns on Lumberjacks In Hell. He returns to the label with four crisp and refined slices of boogie business that span a range of tempos to give you plenty of party tackle for any situation. "The Sound Of Revolution" is a natural choice for the A1, dripping with cosmic synth flexes and an irresistible groove, while the snappily titled "Italians In A Line" brings a sweet strain of upfront robo-disco to the table. 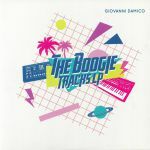 Review: Founder of White Rabbit Records and one of the hippest swingers in the Southern reaches of Italy, Giovanni Damico has more than proved himself in the field of boogie infused, disco flavoured house music. 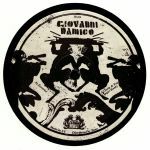 Following plentiful appearances on labels like Black Key, Movida, Geography and Bitter Moon, Damico returns to Lumberjacks In Hell with a serious serving of sultry grooves for discerning diggers to get all moist over. "Essential" keeps things hyped up and just a little feverish, with a distinctly funky stew of guitar chops, bugged out flute, Rhodes flares and more besides. "Look At You (Sugar Bomb)" is a deeper affair revolving around a particular looped up lick, and then "Drums & Keys" shifts the focus out into accomplished broken beat territory that confirms Damico's skill and adaptability across a range of styles.